Deborah Angelo is the owner of a popular Mexican hotel chain. Besides running successful hotels, Angelo decided to take a stand against deforestation and support local Mayan forests and communities at the same time. She did this by filling her hotels with products bought from the local Mayan communities. This included beautiful wooden beds, desks, chairs and decorations, all made from wood from FSC-certified Mayan community forests. “To me it is a business, and they are also good products and I can support an important cause,” she says. Deborah sets a gold standard for how a business can play a crucial role in the supply chain, and support the growing of community-owned sustainable businesses. The production activities and forest management of the communities would not go far without a market demand. 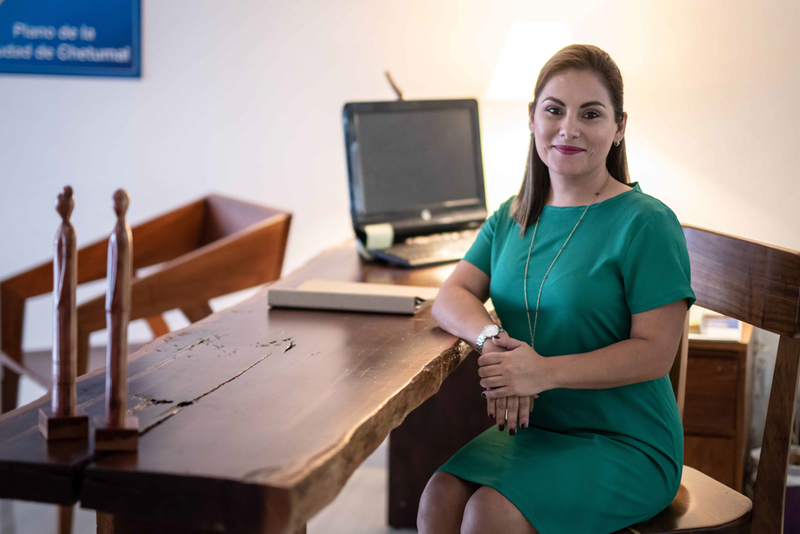 Deborah and her team recently started a new collaboration for a group of five Mayan communities to open a small boutique in the corner of her hotel in Chetumal. Here the group, called K’áax Mayas, can sell their products to hotel guests and display them to people passing in the street. According to shopkeeper Karoll, things are already going great for the little shop. She is from the community of Noh-Bec and is passionate about raising awareness on Mayan culture and products from sustainable projects.